One thing that Canadian writers certainly do well is prose poetry, that contradictory hybrid of the poem and the very short-story. Glen Downie’s 2011 collection Local News is a collection of prose poems that explores the everyday world all of us. 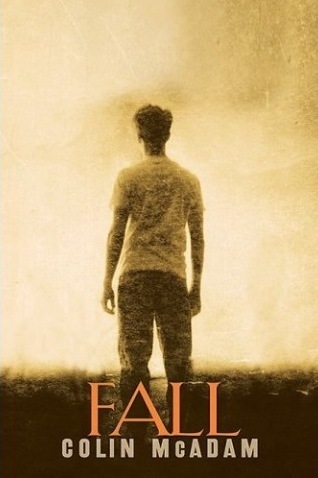 I was attracted to this volume because of my interest in the genre, not necessarily the subject matter. The book is divided into four sections, each with its own focus. While I did find one particular section interesting, the one where the speaker is essentially pontificating on the decline of the small town, overall this book was a bit of a letdown. The one redeeming section of the book was his look at the various small shops one would find in any generic dying small town in Canada. The characters that inhabit the shops and town, their ambiance, and how they are a throwback to a simpler time permeate this short sequence. This was the only part of the book that felt fresh, original, and passionate. I get what Glen Downie was going for with Local News, his words simply fell on deaf and unsympathetic ears that were tired of hearing about how supernatural a mattress is. A for effort, C for execution. It is a very rare occurance for me to read two books by the same author back-to-back, but I felt I would be doing a disservice to Donald Creighton and to the early study of Canadian history if I didn’t read this book. Canada’s First Century is essentially a sequel to the last book I reviewed, The Road to Confederation, and judging by the cover design, the folks running the Wynford Project wanted to link the two titles in this way. This book picks up at midnight, July 1st 1867 and ends with Expo ’67. Post-confederation Canada has a rich and multifarious history and capturing a century of our story in 356 pages is a difficult task. For the most part, Creighton recites the political history of Canada’s first hundred years with chapters roughly divided up by who the Prime Minister was at the time. He wrote this book in the late 60s with publication coming in 1970. The historical interpretation and view of the world/Canada is definitely of its time; the Cold War was raging, the Quiet Revolution in Quebec was in full force, we were becoming almost inseparably linked to the US, and the welfare state system which Canadian’s now proudly identify as part of our collective identity was becoming firmly entrenched into the social fabric of this relatively young nation. All this being said, it is understandable that Creighton had an uncertain and pessimistic view of what the future held for his country. This author was not short on opinions and he liberally inserted them into his book; something that few credible historians have the guts to do today. He was not ideologically or party driven in his clear admiration for certain Prime Ministers. He had high praise for Laurier and Bennett, but harsh criticisms of Borden and St. Laurent. The level of anti-Americanism that oozes from Creighton is almost militant; he only barely stops short of calling the US blatantly evil hypocrits. A similar level of disdain is also reserved for the Quebec nationalism that was growing in the 60s. Of the last 50 pages, at least a third of it is analyzing the issue of “bilingualism and biculturism.” Like every historian I have ever had the pleasure of working with (they really are fascinating humans), Creighton offers no solutions or predictions; he simply points out the lessons that can learned from our collective experience. Six months ago I read A Short History of Progress by Ronald Wright which examined how everything that happens does so in a cyclical way and that essentially nothing is without precedent. In the context of Canadian political history, this book shows that everything important in Canadian politics in the last decade also has precedent; be it an American snub of Canada over foreign policy, using rules of parliament and prorogation for political gains, party leadership quarrels, or using debate closure to force controversial legislation through the House of Commons. 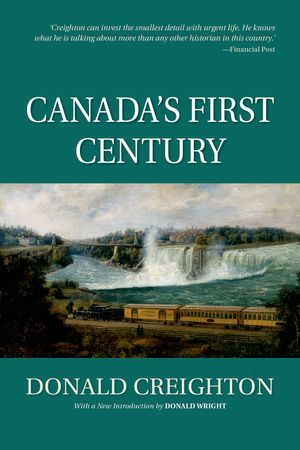 Canada’s First Century was a fascinating read because it highlighted both the well-known events in Canadian history, like the Manitoba Schools problem or the WWI conscription debate, and lesser-known episodes of our history and politics. This book didn’t read as smoothly as The Road to Confederation and some parts seemed a bit clunky. Despite this, Donald Creighton certainly captured the nuances of Canada as it stood in the 1960s and certainly provides food-for-thought for where we going and where we are at now, on the eve of our sesquicentennial.